 VUMIE is the product of Intuitive Systems, Inc. It was created as a “flight simulator” for the Microbiology lab, a simulation that requires the same heads-on, hands-on effort students must master in the wetlab. Its uses range from providing meaningful practice for microbiology students, to a means for testing student proficiencies in micro lab skills and knowledge, to a basic component of many online and hybrid microbiology labs taught worldwide. Over 120 possible bacteria identified using more than 50 common biochemical tests found in microbiology labs. Free lab manual with features like “Save the Patient“, “Creating Scientific Posters“, “Rapid ID Systems for Bacterial ID”. There’s even instructions on how to set up a Fantasy Microbiology League activity. Inclusion of “Lab Safety” discussion in the online “Help” system. Extensive video-based tutorials for basic lab skills. One-click submission of pdf lab reports to instructors. Special “Admin Console” software which allows instructors to customize student assignments. Support for Windows® and Mac®. There is not support currently for Chromebook, Android, or iPad tablet devices. Automatically installs updates to keep the software current and trouble-free. © 2017 Intuitive Systems, Inc. All Rights Reserved.